This is my fifth post blogging through The Benedict Option by Rod Dreher. In Chapter 3, Dreher brings us into contact with both the content of Benedict’s Rule and the Benedictine community that currently inhabits Norcia (ancient Nursia), St Benedict’s home town. The monastery at Norcia first opened its doors in the Central Middle Ages. Napoleon closed them in 1810, and they were reopened in 2000 with an American abbot and an international community of monks. 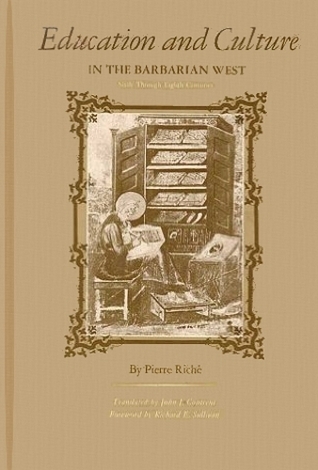 I was hoping for more descriptions of what life looks like for the monks at Norcia than Dreher provided; he rather uses interviews with the monks to scatter their own personal experience throughout Dreher’s discussion of some of the more important features of the Rule of St Benedict for us today. I am glad he did this, since it gives the Rule something of a personal touch. It’s not just a 1500-year-old document, but a way of life that still impacts people today. The Benedictine virtues that Dreher picked out are order, prayer, work, asceticism (mostly fasting), stability (perhaps the most countercultural for my generation), community, and hospitality. Each of these is ordered in Benedict’s Rule to direct us Godward into holiness. We must learn in community to bear with each other’s burdens. We must learn in hospitality to find Christ everywhere. We learn from stability how to face our problems and live through them, rather than running away. Reading this chapter, it struck me that most of these virtues could easily be taught from most of what we might call ‘mainstream’ Late Antique ascetic and monastic writings — actually, even ones associated with extreme movements such as Messalianism and Encratism. This draws me to a question that Bill asked in the comments on my second post of the series — what other monastic rule would I put forward for the 21st century? I still don’t have a great answer; I’d have to revisit the others. But I think in any such conversations with the wider church, unless you run in circles that are still vigorously promoting ‘Celtic’ (Insular) Christianty or you are Eastern Orthodox, the Rule of St Benedict is going to win. There are two reasons. First, as I said above, there is very little that is unique to this Rule. I imagine that Dreher knows this; he is a former Roman Catholic, now Eastern Orthodox. From his concerns and writing styles, besides the fact that he admits to having changed denominations twice, I suspect he is a former evangelical. Anyway, given the neo-Patristic bent of contemporary Eastern Orthodoxy, as well as the ongoing Philokalic renewal, and the fact that Dreher wrote a book about Dante, I think he’s decided that the focus should be on RB. It’s a lot shorter than a lot of other texts. I think the Cassian Option might be nice, but the Institutes are already much longer and more rigorous than Benedict’s Rule, let alone the Conferences that are twice as long again or more. It’s a third the length of the Rule of the Master but less rigorous. Also less rigorous than either of Columbanus’ Rules. The Rule of St Benedict is not the easiest read for the modern mind, but it easier than Evagrius Ponticus or most authors in the Philokalia or John Climacus. 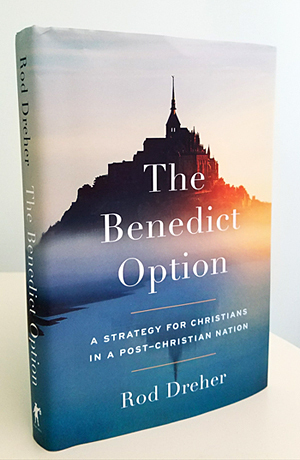 If we want to see a spiritual renewal that people can actually engage with, Benedict is actually a more realistic option than most of his near-contemporaries. In fact, its great promoter of the 810s, St Benedict of Aniane, came to this conclusion. He preferred some of the other rules, but felt that RB was just a more realistic option for most monasteries. Second, it is more accessible. RB exists online in multiple places. There is a Penguin Classics translation, as well as the very cheap RB 1980 translation. Dumbarton Oaks Medieval Library has a translation with Latin text for $35 (USD). Availability helps. It is also accessible in terms of familiarity. Everyone at least recognises St Benedict’s name. 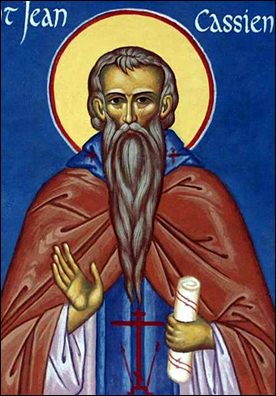 But who ever heard of St Hesychios the Priest? RB is a document people recognise, can get there hands on, and can rally around. It is a powerful cultural touchstone for western Christianity, being the foundational document for monastic life from the 800s onwards. The Order of St Benedict is not the only monastic order to use it; it is the rule of life for the Cistercians and others as well. Thus, even once I think of a different text I may prefer, I don’t think any other text will be as successful. Besides, the Rule of St Benedict has time for reading Late Antique ascetic texts built in, anyway. So those who wish to see other texts in the mix should get them. In a couple of chapters, Dreher does recommend the Church Fathers more broadly. Coming back to Dreher more precisely, this chapter is a good one, a soft introduction to the Rule and its living legacy in Norcia, discussing its relevance for today.